Traumatic and surgical scars can have many different components. Dr. Saluja will assess scars and see if they are hypertrophic (raised), erythematous (redness) or even pigmented. Depending on the scar, various options will be selected. This is a patient that was treated with Palomar ICON utilizing the Max G IPL to treat the erythema and the Fractional non-ablative laser (1540 XD) to treat the hypertrophic portion. 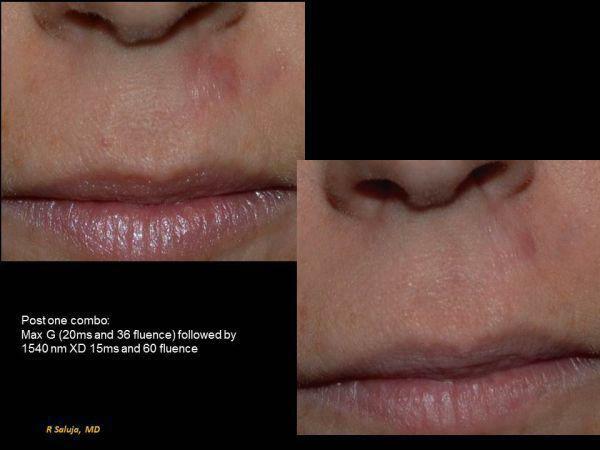 While 3-6 treatments may be needed, this photo represents the improvement post one treatment. Acne scarring in Charlotte, NC does not only affect the adult population, but also the teenage population. With school in session in Mecklenburg County, it is hard to take time off for laser treatments with prolonged downtime. That is where Picosure Focus lens excels in that there is minimal downtime, lasting typically one day and the results are proven. 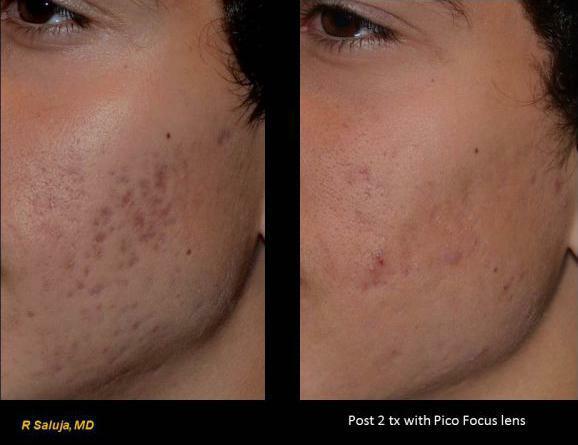 The Focus lens is a diffractive lens array tip that is placed onto the Picosure handpiece to deliver a novel treatment that stimulates collagen and minimizes the appearance of acne scarring.